The Government of India issued notification where Police officials had to undergo training programs on the implementation and execution of IPR. The fundamental objective of the said courses is to enlighten Police Officials regarding the concerns of IPR violation and other related crimes which are detrimental to public interest, safety and security. 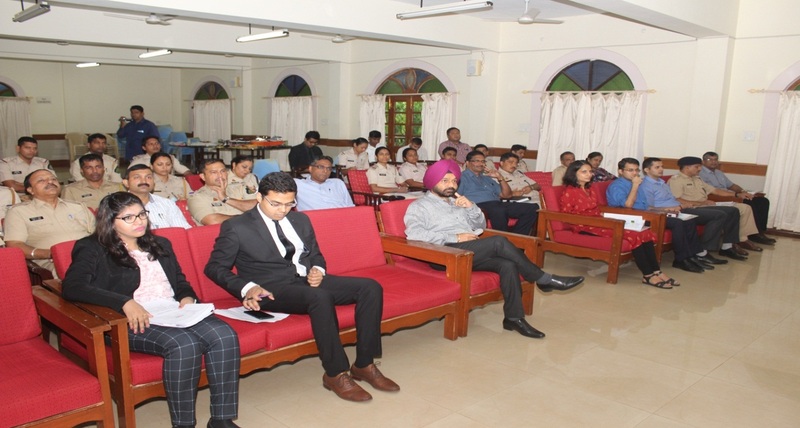 Several trainings and workshops have been organized by United IPR on the approval of Learned Commissioner of Police in various places such as Tamil Nadu Police Academy, PHD Chamber of Commerce, New Delhi and Commissioner’s Office, Pune (Maharashtra) in the past. Police Authorities play a significant and essential role to effectively combat and tackle the problems related to counterfeit and piracy. The training and the workshop aimed to provide appropriate knowledge to the Police officials regarding the violation of IPRs and to provide skills to control and fight against counterfeiters. During the training, the Police Officers were exposed to various techniques of product identification and provided them with a significant experience in distinguishing a genuine product from a counterfeit version of the same product. The contemporary in-action experience will assist the Police Officials to excellently differentiate between the original and fake version of the same product. The training was held at the Goa Police Center, India on 20th June 2018 which was headed by Mr. Jaspal Singh, IGP of Goa Police and attended and participated by approximately 40 Police Officers which includes Dy. SP (EOW), Superintendent of Police, Police Inspectors and Police Sub-Inspectors from all the different branches of the Goa Police including Crime Branch, Goa Cyber Crime Branch and Goa Coastal Police in addition to police officials from all the 22 Police Jurisdictions of Goa along, including all zonal units. The participating right-holders included P&G, Nike, Coty, L’Oreal, VF brands, Vans, Dita, LVMH brands, Burberry, Nivea, Diageo, L Brands, Polo Ralph Lauren, Fendi, Lacoste, Gant, Monster Energy, Audemars Piguet.